Situated in the lush Green Mountains of Vermont since 1978, New Life Hiking Spa is an authentic, affordable, all-inclusive wellness retreat renowned for its personalized weight loss, wellness and hiking program. Open each spring, summer and early fall, New Life Hiking Spa is open when hiking is at it's peak in the Killington Region of Vermont. The New Life program accommodates up to 55 guests at a time, and each year people travel from around the world to attend 21 night extended wellness vacations, eleven-night weight loss retreats, five-to-ten night jump-start getaways and three-to- four night mini-wellness escapes. Located in Killington where the Appalachian Trail and Long Trail meet, New Life offers diverse terrains that will challenge hikers at every level. Because the number of guests is limited, each visitor is able to focus on his or her individual needs with the support of New Life’s superb staff. Three levels of hiking are offered each day. A nature walk, an intermediate hike and an advanced hike are provided and staffed with expert hiking guides who have extensive knowledge of the Vermont trails. No other destination spa or wellness retreat offers the level of guided hikes that New Life Hiking Spa does. The cooler temperatures in Vermont's Green Mountains allow for hiking during the daytime hours. New Life was also named one of the three best summer stays of 2015 by Rand McNally, one of four great weight loss spas by Health Magazine, and one of 2016’s “Affordable Spas for a Rejuvenating Getaway” by Travel + Leisure magazine. Plan ahead and secure your spot for 2019, as New Life Hiking Spa often sells out months in advance. The 201 dates will be May 16 - September 30. Since New Life's atmosphere is so intimate and relaxed, guests shouldn't worry about booking spa appointments weeks in advance. Every morning staff members meet with guests to plan their personalized spa treatments. The five treatment rooms are converted hotel rooms with spacious interiors, private bathrooms, and warm colors. Spa treatments include reflexology, polarity, hot stone, and massages. A complimentary massage is included for every three days of guest's stay. At New Life Hiking Spa, It's more than the name. The award-winning spa is known for its accessible hiking program tailored to all fitness abilities, as well as exceptional weight loss, fitness, and yoga programs. Hiking beginners enjoy a gentle walk on rolling hills through the sunny Vermont forests; intermediate hikers can try their footing on the famous Appalachian Long Trail; advanced hikers may climb to the peaks of Pico or Killington where elevations reach more than 4,000 feet. The facility offers a variety of fitness classes taught either in an indoor fitness studio or outdoors on a beautiful lawn overlooking Pico Mountain; the guidance of certified yoga instructors, and expert hiking guides. Guests can try Chi Kung, a Chinese practice of "energy training" that is a combination of breathing and exercise techniques to energize the mind and body. 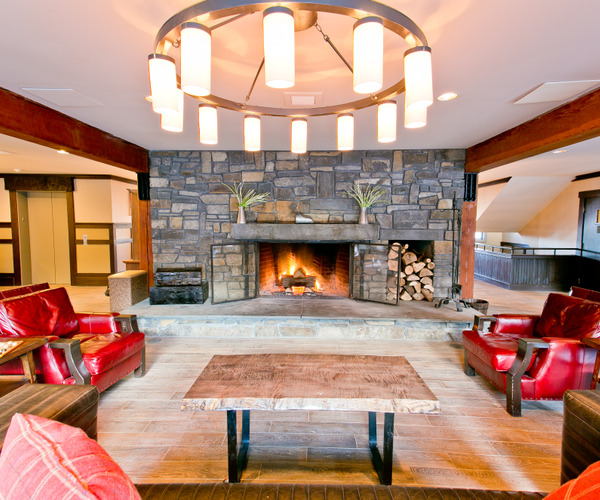 Evening programs consist of a range of wellness lectures and workshops, among which are cooking demonstrations, reflexology, games, and overviews of the natural beauty of Vermont. Jimmy LeSage, M.S., who owns New Life with his wife Kathleen, also gives lectures to help clear up any confusion about popular diets. 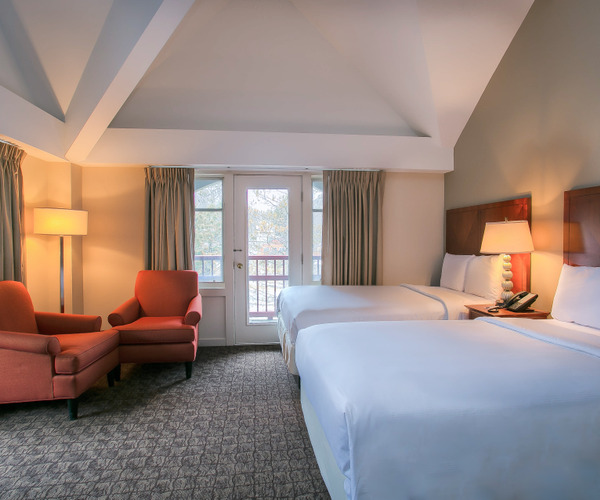 Accommodations are in a Vermont Country Inn setting, which features comfortable rooms with private bathrooms. New Life accepts approximately 50 guests, who stay in deluxe guest rooms with full amenities, including private baths and two queen size beds. All rooms are spacious and down-to-earth and ideal for spending a quiet afternoon--although guests spend most of their time in the scenic outdoors. For 40 seasons, New Life has maintained the same natural approach to diet and health. The healthy, unrefined, and delicious cuisine at New Life emphasizes cleansing the body to get rid of impurities and toxins. The menu focuses on weight loss or maintenance by providing a nutritional balance of complex carbohydrates for the energy and fuel of an active vacation and enough protein and fats to meet individual needs.